・Ivy, J. L., Katz, A. L., Cutler, C. L., Sherman, W. M., & Coyle, E. F. (1988). 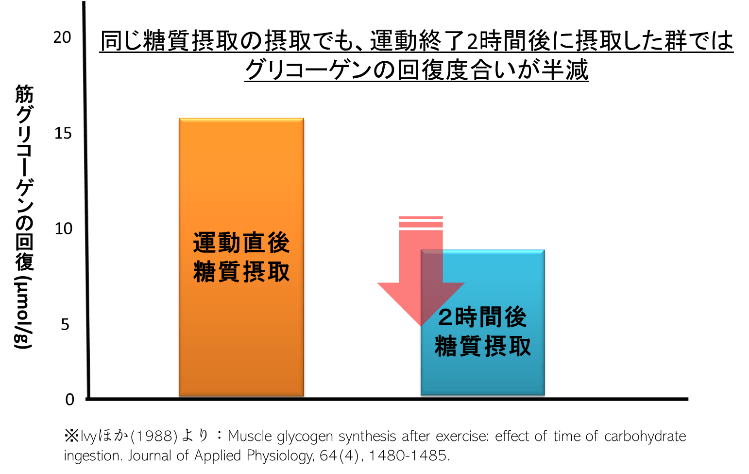 Muscle glycogen synthesis after exercise: effect of time of carbohydrate ingestion. Journal of Applied Physiology, 64(4), 1480-1485. ・Kerksick, C., Harvey, T., Stout, J., Campbell, B., Wilborn, C., Kreider, R., ... & Ivy, J. L. (2008). 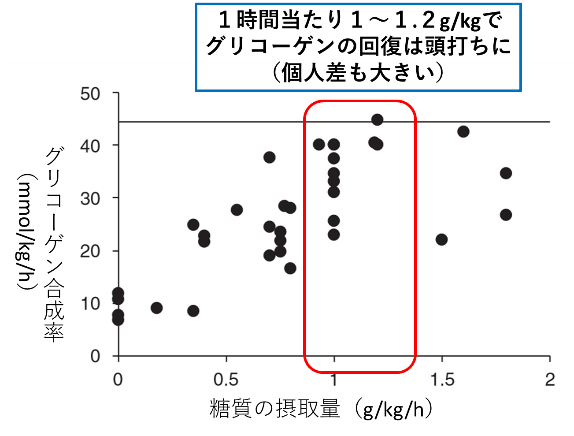 International Society of Sports Nutrition position stand: nutrient timing. 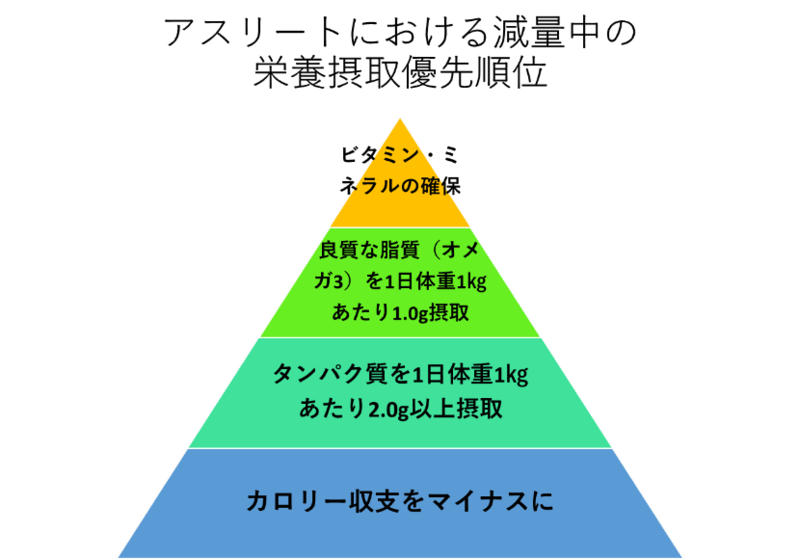 Journal of the International Society of Sports Nutrition, 5(1), 17. ・Jentjens, R., & Jeukendrup, A. E. (2003). Determinants of post-exercise glycogen synthesis during short-term recovery. Sports Medicine, 33(2), 117-144. ・Van Loon, L. J., Saris, W. H., Kruijshoop, M., & Wagenmakers, A. J. (2000). 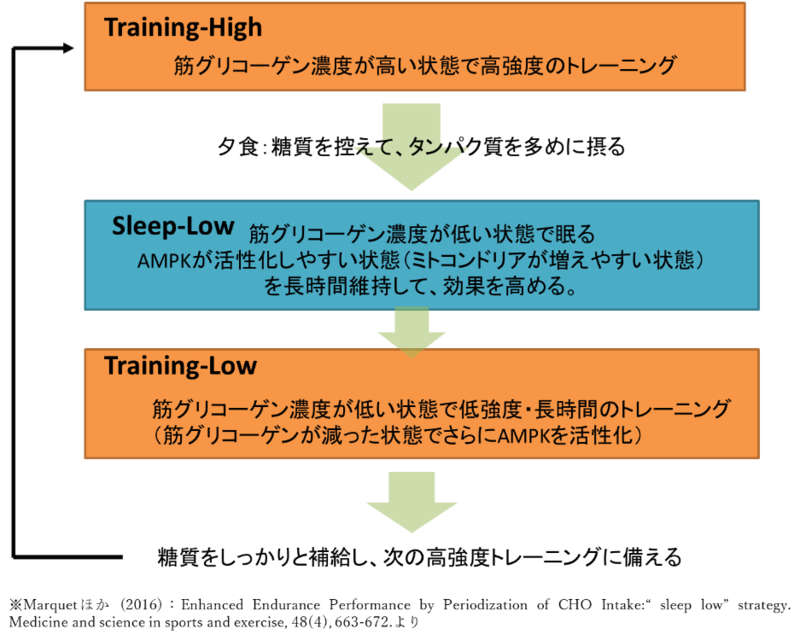 Maximizing postexercise muscle glycogen synthesis: carbohydrate supplementation and the application of amino acid or protein hydrolysate mixtures–. The American journal of clinical nutrition, 72(1), 106-111. 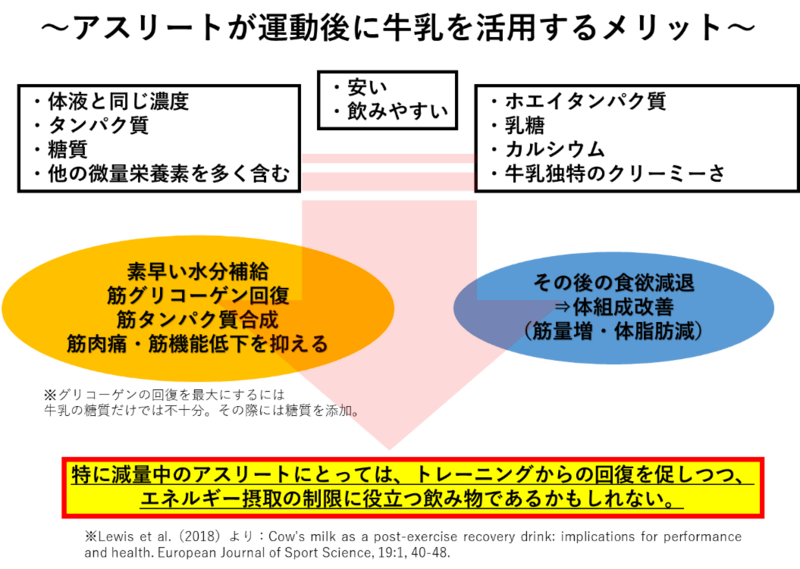 ・Zawadzki, K. M., Yaspelkis 3rd, B. B., & Ivy, J. L. (1992). Carbohydrate-protein complex increases the rate of muscle glycogen storage after exercise. Journal of Applied Physiology, 72(5), 1854-1859.